You must be aware of the importance of a blemish free credit report and a good score. You must be aware of the importance of a blemish free credit report and a good score. However, committing certain mistakes, even unknowingly, may lower your credit score to some extent. Therefore, make yourself aware of these mistakes so that you can work towards having a great score and enjoy a good lifestyle. Over-utilizing your credit card limit – It will affect your credit score negatively if you over-utilize your credit card limit. In case you experience such a situation, stop using your credit cards for some time being and try to lower your dues, as fast as possible. Missing your monthly credit card payment dates – This is one of the most important factors which is responsible for your lower credit score. Your credit report and your score actually represent your financial report card which reveals how you manage your credit accounts. Missing monthly credit card payments is one of the prime factors which show that you have not been able to manage your credit accounts responsibly. Therefore, try to not miss the dates of your monthly credit card payments, and if possible, repay your dues at every billing cycle. Closing your credit accounts abruptly – Often people think that closing credit accounts can help them manage their credit cards better. However, this is one of the greatest mistakes often people make. In reality, closing credit cards can actually lower your score. This is because your credit utilization depends on your available credit limit, which lowers, if you close one credit account. Moreover, your credit score also depends on the length of your credit history; so, if you close your oldest credit card then it will also affect your credit score negatively. Not taking introductory rate period seriously – Many credit card companies offer teaser rates for a limited time period. This means that a low interest rate is offered for a limited time period, after which the rates increase. So, if you are thinking of transferring your high interest credit card balance to a lower card by taking out a low introductory rate card, then be sure till when the low rate is valid. This is because the rate will increase after the lapse of that period and therefore, you should repay the balance within that period. Settling your past due accounts with creditors – Often debt settlement can be the only viable option to get rid of your dues. However, if you are capable of paying back the entire amount you owe to your creditors, do not negotiate with your creditors to settle the debts. This is because debt settlement can lower your credit score to some extent. Therefore, you can negotiate with your creditor(s) for an alternative payment plan instead of settling your debts. Thinking that there is only one credit report – Do not think that you have only one credit report. You actually have 3 credit reports managed by 3 different credit reporting agencies, namely, Experian, TransUnion and Equifax. Therefore, you should check at least these 3 credit reports periodically and check out whether or not there are any mistakes in them. If there is a mistake, you should dispute it with the specific credit reporting agency. Along with above, you should also know that every time a creditor checks your credit card application, a hard inquiry is posted against your account. 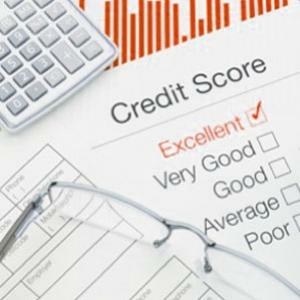 The credit inquiries usually stay on your credit reports for 2 years; however, the credit bureaus take into account inquiries of past 1 year. Therefore, be careful of the credit inquiries, that is, restrict the number of credit inquiries you make in a short period of time. This will help you have a good score.